« All good at the Dinghy Show! Dinghy Show over in a flash! All that build up and work and it was all over in a flash, now all the stands and equipment are all stored away, by Friday it will feel like it never happened. One of the problems working on the stand you really see very little of the show. I did however spend 30 minutes first thing Sunday morning with my camera and have a quick look round. 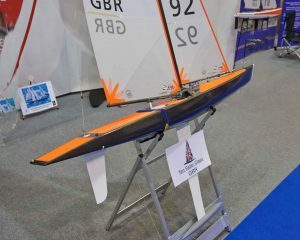 The Ten Rater Model Yacht was for me the boat of the show, it was beautifully made and the engineering was amazing. I always enjoy looking at the old black and white photoes and thought the Ian Proctor tribute was very interesting. 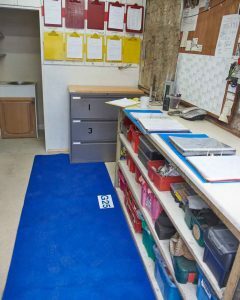 Finally I have always liked the deep blue colour of the carpet, and thought it would look really good in my office/mood room, well it does!!! !